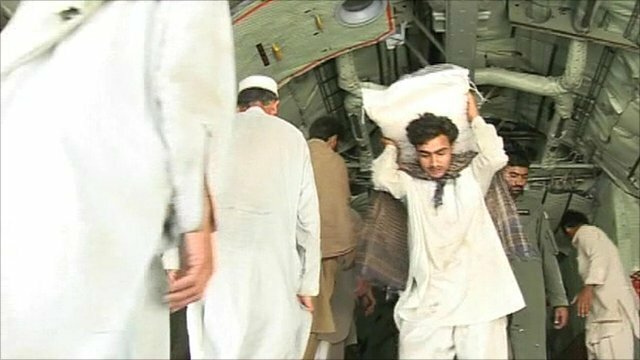 Pakistan displaced still need aid Jump to media player Poor weather is hampering the Pakistani authorities' efforts to get aid to people displaced by the floods, with yet more heavy rain forecast. Leading British charities are launching a TV and radio campaign to raise money to help the victims of the flooding in Pakistan. Hundreds of people have died in unprecedented floods in Pakistan. Aid efforts have been hampered by huge access problems, with roads and bridges destroyed. Aleem Maqbool reports from north west Pakistan.